Symmetria is a collection of small objects and jewellery drawing inspiration from the complexity and raw beauty of natural form. First released in 2012, the collection is individually handcrafted in sterling silver or bronze using techniques that preserve detail whilst ensuring finely polished surfaces before careful detailing with gold plate. Each piece was designed to be an object in its own right, something with presence even when not being worn. Something other than the typical ring that begins at the end of a ring band. Symmetry, which dictates beauty, creates form and governs function, is also explored in terms of its role in the natural world through pieces of both natural and unnatural symmetry. Caitlin Hoole wears Symmetria rings for Kismet Magazine (2013). Photographer: Glen Krohn. Makeup and Hair: Tracie Weaver. Styling: TamZen Holland. Sapphire and Grace wear Symmetria Rings for BlacklogNZ #56 (2013). Photographer: Daniel Sangermani. Beauty: Carla Sakrzewskie. Stylist: Kymberly Louise. Daisy (London MTG Group) wears Symmetria Rings and Hands Earrings for Colours You Can't See series. Photographer: Daniel Sangermani. Hair: Danielle Gallagher. Beauty: Carla Sakzewski. Styling: Sarah Birchley and Shari O'Dwyer. Daisy (London MTG Group) wears Symmetria Rings for Colours You Can't See series. Photographer: Daniel Sangermani. Hair: Danielle Gallagher. Beauty: Carla Sakzewski. Styling: Sarah Birchley and Shari O'Dwyer. Sapphire wears Symmetria Rings (2013). BTS Blacklog #56. Stylist: Kymberly Louise. Kelly Hockey wears Symmetria rings for Confessions series. Photographer: Chris Fatseas. Makeup and styling: Carolina Rojas. 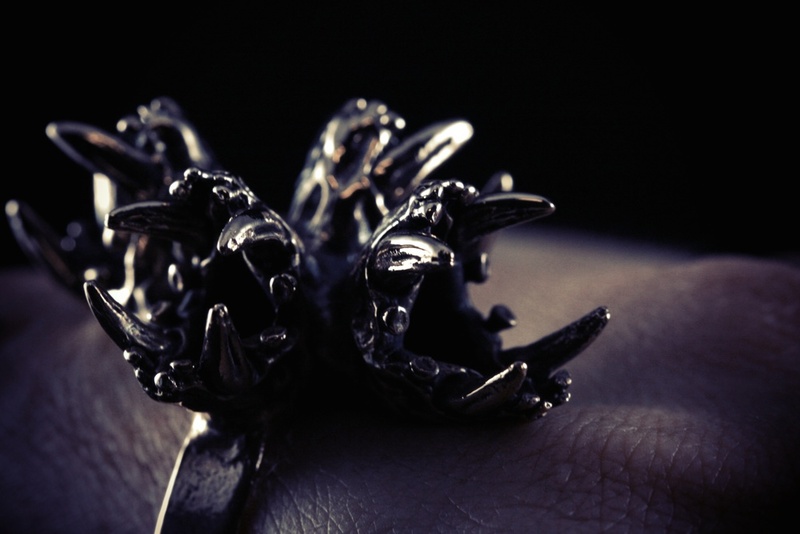 Rui Dalton (Dallys) wears Held Over rings as hairties for BlacklogNZ. Photographer: Thom Kerr. Hair: Iggy Rosales. Makeup: Vivianne Tran. Stylist: Sarah Birchley.